The podcast playground in Australia has matured into a serious business over the last two years with publishers like Nine, Mamamia, News Corp and Pedestrian among the media companies throwing their hats in the ring. More recently, the major radio networks have also invested in podcasting with Nova Entertainment pairing with Acast, Southern Cross Austereo joining forces with PodcastOne and the ABC announcing it would invest $1m in podcast production. The podcast fanfare has shifted media buyer behaviour with agencies acting on the trend and tripling spend in audio streaming advertising in 2017. While research shows that more 11% more media buyers are buying audio spots, questions still remain around the monetisation opportunities. News of the deals came as Spotify revealed its first ever quarterly profit with it operating profit for the final three months of 2018 was $150m, but it expects to slip back into the red this year. Love podcasts? You can listen to the AdNews podcast here. Spotify has made a major play for podcasts confirming its acquisition of both Gimlet and Anchor. The news was speculated earlier this week and confirmed today in the music streaming company’s financial results. Spotify also announced plans to spend up to $500m on further acquisitions in an attempt to move beyond its music streaming roots for new growth. The Gimlet deal is said to be upwards of US$200 million, but it isn’t yet clear how much the company has spent on Anchor, which helps podcasters record their shows and then distribute them online. 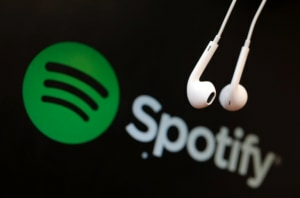 Daniel Ek, the founder and chief executive of Spotify, said his company needed to break into the small, but fast-growing podcasting market in order to tap revenue streams beyond its core music service. “We believe it is a safe assumption that, over time, more than 20% of all Spotify listening will be non-music content,” he said in a blog post. “This means the potential to grow much faster with more original programming.